One of the nicest things about the Old Edwards Club at Highlands Cove is all that goes with it. Featuring a Tom Jackson designed golf course, Old Edwards Club is an exclusive private club offering all the amenities of a country club PLUS the amenities of the Old Edwards Inn and Spa. Floor to ceiling windows in the clubhouse afford panoramic views of the rolling landscape and the first tee. 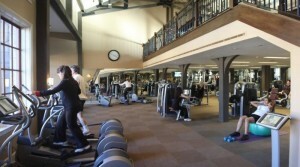 The club features a dining solarium, a restaurant and bar, a fitness center with locker rooms, heated outdoor mineral swimming pool, lighted tennis courts and a fully stocked pro shop. The rustically elegant architecture and interior promote full relaxation and an incomparable air of carefree leisure. 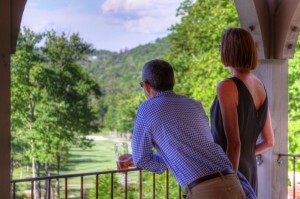 This prestigious community is tucked between the mountain hamlets of Highlands and Cashiers in western North Carolina, a 440-acre sanctuary in the clouds; pristine terrain alive with mountain laurel, rhododendron, oaks, hemlocks, wildflowers and wildlife. For peace of mind, the community is gated at the entrance. A magnificent, master-planned community- 4,700 feet above the rest of the world. You have a wide choice of beautiful locations for your new home. Your retreat may be nestled in a cool, wooded setting, dense with native hardwoods. You may prefer a site with a panoramic view of the tops of the Blue Ridge. Or you may choose a homesite looking out on the impeccably groomed golf course. Also offered is a limited number of handsome, three-bedroom, three-bath condominiums. 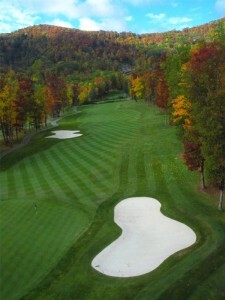 Set on a gentle ridge, The Views offer stunning views of the golf course and the mountains beyond. 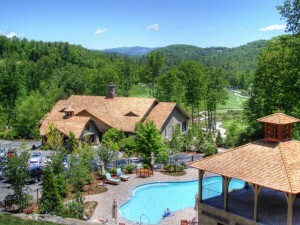 The Turning Leaf condominiums are within walking distance to the clubhouse. Above all, Highlands Cove is committed to the highest standards and governed by protective covenants to maintain those standards. Our water and sewer are provided by a central system and all utilities are underground. The championship designs of our Highlands nine and our Cove nine combine for a par 71 layout that will challenge you if you’re among the best of players, and yet be a pleasure for those at every level. To help you improve your game, we provide one of the finest practice facilities in the area with a driving range and putting green. 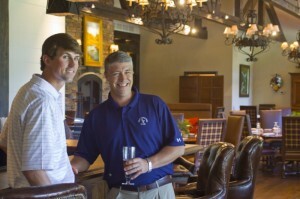 And the PGA professional staff is always available for private lessons or clinics.